Look your best with our nourishing skin care essentials. NouriFusion skin care satisfies your skin with benefits from antioxidant vitamins A, C and E, as well as beneficial herbs and botanicals. Use NouriFusion products to cleanse, moisturise and protect your skin with state-of-the-art skin care technologies to help minimise the appearance of under-eye puffiness and SPF15 UVA/UVB sun protection. NouriFusion gives you the best of what nature has to offer, with formulas made from ingredients such as tea tree oil, shea butter and Siberian ginseng extract. This advanced cream is based on four key components: Glucosamine, almond oil, green tea and sugar for results you can see and feel. 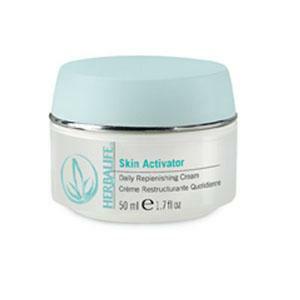 Helps reduce the appearance of fine lines and wrinkles and helps skin regain a smoother, firmer appearance. Your body looks and feels healthier with moisture and gentle care. 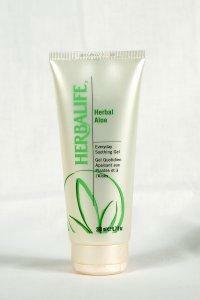 So treat your skin to the soothing properties of Herbalifes Body Essentials, and feel beautiful day and night. Enhance your hair's natural beauty and shine with the gentle, moisturising benefits of aloe vera and special botanicals. Enhance the appearance of your skin with our optimum blend of Vitamin B3, antioxidant Vitamins C and E, Aloe Vera and other botanical ingredients. Pamper yourself with lush textures; soothe yourself with silky soft lathers. Be inspired by radiant essential oils and fresh, rejuvenating fragrances. Surprise yourself each dayand all daywith experiences as illuminating as they are luxurious.Our clinically-tested products help you achieve maximum daily results including softer, smoother, more radiant skin and long-term benefits of a diminished appearance of fine lines and wrinkles. 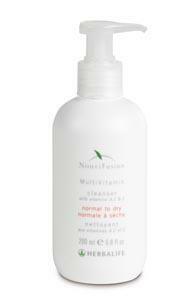 Hydrating Aloe enriched cleansing gel gently removes impurities and makeup leaving skin clean and refreshed. Visit the Complete Holistic Health website for more information about the Herbalife Products supplied by Fiona Steed.